We were invited along to The Game fair by our favourite Geekster’s to visit them on their lovely stand. We arrived mid morning after travelling through the holiday traffic delays and because of the direction we had come from, we ended up in the car park next to the gundog section [perfect!]. It’s the first time I have visited The Game Fair but it was full of every gundog breed possible and was spaniel central! We only had Woody with us because it would have been a bit overwhelming for little Wilma on her second trip outside the garden plus Woody is a proper spaniel for the gundog crowds! The Guru stand had a perfect view of the scurry that lead onto a lake. Woody could have spent all day sat there watching the dogs work and whining because he wanted to jump in and go swimming [not to mention the endless supply of food and trip bones!]. The event was massive and spread over so much land with stalls heading in all directions, with so many rings to watch different demonstrations. It was so lovely to see new interest from people with working dog backgrounds finding out about Guru pet food, and I hope their dogs love it as much as mine do! Our day then got even more exciting as we met Maddie [@maddie_and_family and @madelinethespaniel] and some of her gorgeous family. We had a lovely chat getting to know them and Woody even featured in Maddie’s sister’s vlog which you can see HERE. We were then also lucky enough to meet Ruby [@rubytheboxerdog] who was very happy and had the best wag! Her mum [Made for Mutts] was able to see Woody in real life in his matching set she made him. I have been a massive Guru fan ever since Woody fell in love with their food but I still don’t know everything! Whilst Lisa was doing her stuff sharing the love with new geekster’s I learnt that cold pressed is the only food you could feed along side raw food. I knew you couldn’t feed normal kibble with raw food because they digest differently in dogs stomachs, but this means that Guru is great for you to take away where it may be difficult to store raw food for your dogs [for example those holidays to the beach!]. We had such a lovely day and I can’t wait to visit Guru again, this time with Wilma in tow. 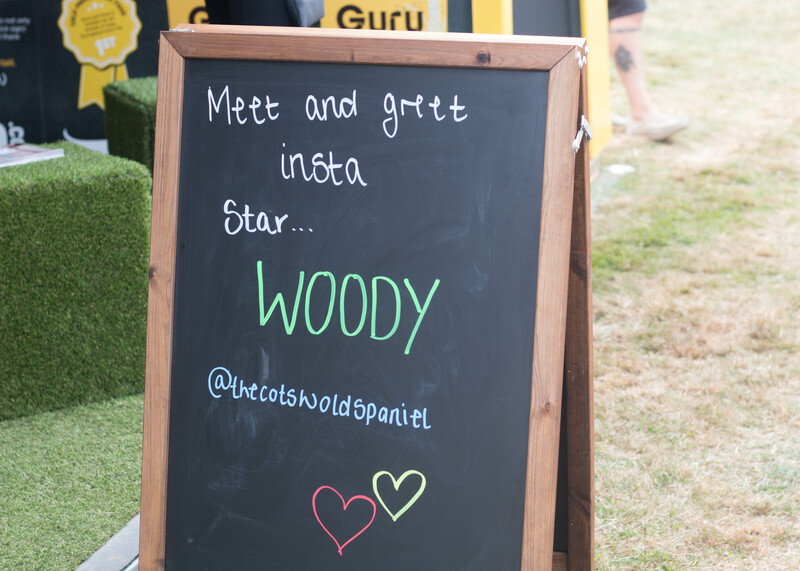 Watch this space over on our Instagram [@thecotswoldspaniels] for our new adventures! To check out their PAWsome website – CLICK THIS TEENY TINY LINK!